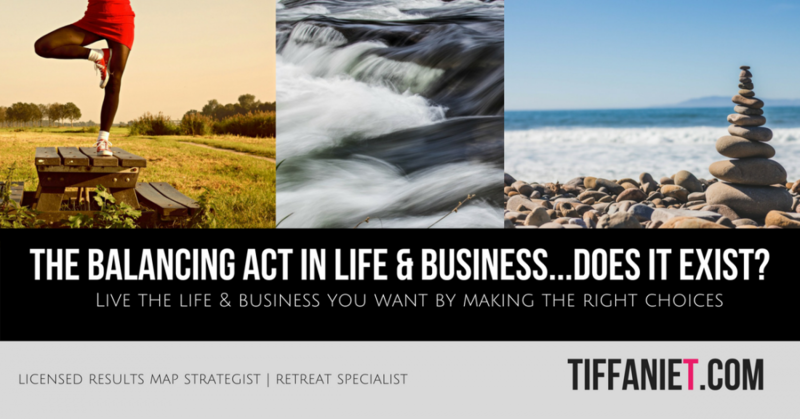 The Balancing Act in Life & Business…Does it Exist? It starts here. How do you want live your life? What people do you want to share it with? Where is your harmonious balance? What you yearn for in the short and long term will help you make choices in the hours you invest in each day. If your goal is to be a millionaire and live your life with many riches, it may take you burning the midnight oil for several years to achieve that. Your harmonious balance may be 80 hours a week mastering your business and craft. Or you may want to be home with your family more and work less. Only you can answer this. It’s about getting real with what you want and making choices to support it. The harmonious balance you will work to establish is based on the life you want to live. There is no right and wrong in the life you want to live or what harmony means to you. However, when you are clear in what harmonious balance means to you, there are right and wrong choices. If you have decided that you need more home life to balance out work-life, choosing to network 5 nights a week is not the right choice. Understanding where your balance lies within your life will make even the toughest choices easier. I work very hard in my business but my family and friend time is critical to me. I communicate with my family and friends to what season I am in. For example, building a business I work long hours. However, being PRESENT IN THE NOW is critical to me. I will not sacrifice the NOW for the future. So, my harmony is working hard to build my dreams, but still looking up to enjoy the current moment to the fullest. You need to get real with your choices and own them. Don’t play the victim card. Own your choices. For example, don’t complain if you are missing out on a fun social event because you are working. You chose to work! It is empowering to own your choices especially when you are clear on the life you want to live. That is balance and will keep you on your path. I have often heard that people call balance a “sacrifice; that to have balance, you have to give up all of the things that you want to do. To have it all doesn’t mean you have balance. You cannot do everything at one time; who can or would want to? To have balance is really a choice not a sacrifice. You may not be able to do everything you want all of the time. That is OK. What you need to focus on is filling up every part of your life that is important to you. When achieving balance, what is the reward from the choices you made?… The life you want to live!